It’s no surprise that New Braunfels weather calls for a full range of air conditioning services! When it comes to AC services, working with an HVAC contractor who can provide everything from air conditioning installation to air conditioning repair is your best bet. You should never rely on a handyman who only appears to perform one-off jobs. Thayer Air Conditioning is a company that sticks to old-fashioned values and combines them with innovative service. Not only does that mean that we’ll be happy to handle all of your air conditioning needs, but we’ll always show up in uniform, on time, and with complete respect for you and your household. Plus, all of our work is backed up with some of the best guarantees you’ll find in New Braunfels and the surrounding area. Contact us today to schedule a free estimate for air conditioning services. Your comfort is our #1 priority! Air Conditioning Installation and Replacement: Need a new system? Starting with a free estimate, we’ll help you find the best AC for your home. Or, if your current AC is failing you, we can offer our air conditioning replacement services. Air Conditioning Repair: If your air conditioner is acting strange or refusing to operate, it’s time for air conditioning maintenance or repairs. Completing repairs as soon as possible is crucial for maintaining system life expectancy. Air Duct Services: Even the air ducts need service from time to time. Whether it’s sealing leaks or a full-on replacement, you can count on us. Looking for the perfect system for your home? We can help! We offer top of the line air conditioning systems, made right here in America. On top of that, we also protect your new air conditioner installation with a 10-year worry-free warranty. We’re also proud to offer installation and repair services for inverter air conditioners, a type of system that uses a variable speed compressor. Normal compressors operate in an "on/off" fashion only—it’s either on full-blast or not on at all. This is how air conditioners typically cool your home. With a variable speed compressor, however, the AC is able to output only the necessary amount of power. This makes inverter ACs far more efficient, quieter, and more effective at cooling your home. The founders of Thayer Air Conditioning were born and raised in New Braunfels. Offering air conditioning services to the residents of Texas is just our way of giving back to the community. 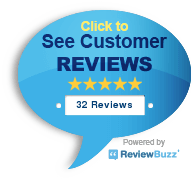 We’ll do our best to give you 100% customer satisfaction, and that includes warranties and guarantees that cannot be matched by other HVAC companies. Contact us today and get started with your free estimate.